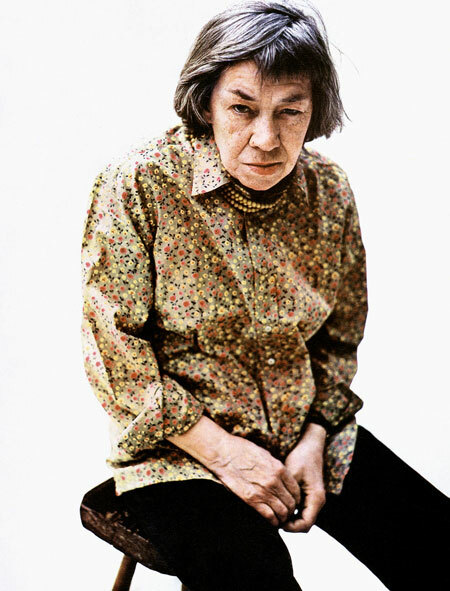 Patricia Highsmith (1921–1995) was born as Mary Patricia Plangman in Fort Worth, Texas, only child of artists Jay Bernard Plangman and his wife, Mary Coates; the couple divorced ten days before their daughter's birth. In 1927, Highsmith, her mother and her adoptive stepfather, artist Stanley Highsmith (whom her mother had married in 1924), moved to New York City. Highsmith was an American novelist and short story writer, most widely known for her psychological thrillers, which led to more than two dozen film adaptations. Highsmith included homosexual undertones in many of her novels and addressed the theme directly in a 1952 romance novel 'The Price of Salt' (sometimes published under the title ‘Carol’) and the posthumously published 'Small g: a Summer Idyll'. The former novel is known for its happy ending, the first of its kind in lesbian fiction. Published in 1952 under the pseudonym Claire Morgan, it sold almost a million copies. The inspiration for the book's main character, Carol, was a woman Highsmith saw in Bloomingdale's department store, where she worked at the time. Highsmith acquired her address from the charge account details, and on two occasions, after the book was written (in June 1950 and January 1951) spied on the woman without the latter's knowledge. Highsmith had sexual relationships with women and men, but never married or had children. In 1943, she had an affair with the artist Allela Cornell, who committed suicide in 1946 by drinking nitric acid. In 1949, she became close to novelist Marc Brandel. Between 1959 and 1961 she had a sexual relationship with novelist Marijane Meaker, who wrote under the pseudonyms Vin Packer, Ann Aldrich, and M.E. Kerr. Meaker later wrote about their affair in her memoir, ‘Highsmith: A Romance of the 1950s’. Highsmith famously preferred the company of animals to that of people, and once said: 'My imagination functions much better when I don't have to speak to people.' She loved cats, bred about three hundred snails in her garden at home in Suffolk, England, and once attended a London cocktail party with a gigantic handbag that contained a head of lettuce and a hundred snails who she said were her companions for the evening. According to the biography, ‘Beautiful Shadow’ (2003), by Andrew Wilson, Highsmith's personal life was a troubled one: she was an alcoholic, never had an intimate relationship that lasted for more than a few years, and she was seen by some of her contemporaries and acquaintances as misanthropic and cruel. Highsmith a 'consummate atheist', insistent on logic and science, she was uncomfortable with black people, and an outspokenly anti-Semitic – so much so that while living in Switzerland in the 1980s, she invented nearly 40 aliases, identities she used in writings sent to various government bodies and newspapers deploring the state of Israel and the 'influence of the Jews’. She wrote a satirical collection of short stories called ‘Little Tales of Misogyny’, and subsequently was accused of misogyny. Highsmith died of aplastic anaemia (a disease of the bone marrow) and cancer in Locarno, Switzerland, aged 74.